ere are the essential Thunderwolves tactics for 7th edition Warhammer 40K! All the best builds, as well as thoughts on how you can run them in a variety of army builds. Though last edition didn’t see many opportunities for us Sons of Russ to throw a squad or two in our lists, which was purely because of the high point cost. Granted 10pt drop from 50 to 40 doesn’t seem like much, but it really adds up. A standard squad 3 man/wolf squad has dropped from 150 to 120! Plus the main price drop has come in the form of their pretty much mandatory equipment, but we’ll get to that later. The squad has also gotten itself a pack leader and you don’t have to pay for this one. Another great change has seen these titans of combat receive the ability to take as many melee upgrades as they want, no more “one wolf ride per squad”. One last thing to note before we move on to the equipment: “All close combat attacks made by a model with a Thunderwolf mount have the Rending special rule.” Know what this means? Even your special weapons have rending now! Who else just drooled thinking about the wrath that S10 Power Fists are gonna enact upon Vehicles? Boltgun – Who takes a close combat behemoth like this and uses them for shooting? Plasma Pistol – A bit expensive, especially for something you’ll seldom use. Power Weapon – This can be any of the weapon types, meaning that if you’ve got the points to spare you can really deal out the pain! Though with rending on all attacks, it’s not a necessity but having a confirmed AP can be a good thing. Storm Shield – A must for this unit (you’d be surprised how much heavy artillery an opponent will throw at these terrifying beauties!). Frost Sword – Though that S6 and AP3 are tempting, Wolf Claws give you the same deal with Shred as a bonus and no extra cost! Frost Axe – S7 and AP2 are tempting, but it’s better to just fork out the extra 5pts for a Power Fist and get those 3 extra Strength. Wolf Claw – S6, AP3 and that beautiful Shred for re-roll on wounding. Great for man slaying if you’ve got the points, plus that shred can help net more saves for your opponents 2+ savers! Power Fist – S10 and AP2 make this great for hunting high toughness creatures and those pesky things with 2+ armour saves. Thunder Hammer – That S10 and AP2 are great for vehicle hunting, plus that Concussive rule is useful for those assaults that take up a few turns. Two wolf claws – Not worth sacrificing a storm shield for +1 Attack. 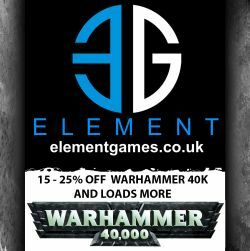 Melta bombs – Vehicle wrecking on the cheap, good for Monstrous Creature’s too! This squad certainly has its options, but they don’t half rack up the points cost! The gift of rending on all close combat attacks means that most of the special weapons aren’t needed, meaning that they are only needed if you absolutely have to confirm a kill. The best bet for this is to give your pack leader one so he’s got something for those challenges. Storm shields are a must; these terrifying titans of combat attract the heavy dakka like you wouldn’t believe. The squad starts at 3, but can take up to 3 extra riders for a cost of 40pts per model. A standard 3 man squad is often more than enough though, so don’t worry about this too much. Some people like to just go for full man squads instead of getting Storm Shields because they feel that having more meat to soak up the shots is good. 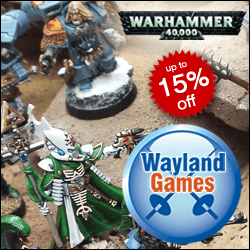 This is fine and all, but it’s a bit of a waste to pay for something just for it to die (especially when it’s 40pts a model). Given that Thunderwolfs are S5, any army that isn’t Tau will more than likely through their bigger guns at them. The bigger guns meant for the tanks, you know the things that are upwards of S7 and typically AP3/2/1. So that power armour your wolves are wearing isn’t got do them any good and 2 wounds or not, you’ll end up losing them quickly. Cause of this, I personally reckon it’s a smarter idea to throw 15pts at a Storm Shield for them. Let’s have a look at those numbers, just to further get this point across. A 3 man squad with just Storm Shields comes in at 215pts. Now for the full man approach, 6 Thunderwolves and no upgrades comes in 270pts. That’s a whole extra 55pts just for a bunch of dudes you’re throwing away. Sure having that 3+ invulnerable doesn’t mean you won’t mess up the dice, but it’s better to have a chance to stop the kill rather than just surrendering your troops to it. This basic squad is cheap and cheerful. Well cheerful for you, not so much for your opponent. It’s more meant for just rushing at squads and making wounds. Everyone’s got a Storm Shield to help keep them safe, but the pack leader is where the pain is based. The Wolf Claws make him an ideal choice for hunting down important targets, the Shred helping to up the likeliness that your wounds will land. The Melta Bomb is more there as a “just in case” option, so can easily be taken out if those 5 points are needed elsewhere. This build I like to refer to as “The Nut Crackers” cause it’s great for breaking into those armoured walnuts hiding your opponent’s troops or dealing out the heavy fire power to your forces. The numerous S10 hits make cutting through most armour easier than butter, the chance for rending making even the mighty Land Raider shudder with fear. The AP2 brings a +1 to the damage chart, so you might get lucky and make some fireworks. Plus it’s great for cracking terminators and such open with ease. The Thunder Hammer on the leader is optional since it’s mainly for whacking those pesky multi-wound big creatures with its “Concussive” rule, since it’ll leave them at I1 if the fight goes on for more than one turn. If you’re in a game with no multi-wound big creatures, drop it for a power fist. This is my take on the “meat shield” approach to using this unit. I’ve still given the leader a Storm Shield since it’s better to be safe than sorry. The reason the leader gets the toys is cause he’s the one who’s going to have to deal with challenges. By giving him a Power Fist you ensure that he can deal with everything. Want a vehicle gone? Punch it! Power armour minions of chaos getting in your way? Punch them! They got friends in terminator armour? Punch them too! AP2 means that no armour can stand in your way and that S10 makes it so that nearly everything in the game is getting wounded at 2+ and that even Land Raiders are going to worry about you puncturing a hole in their armour. This list is more designed for bigger games and offers a little bit of everything. Again I’ve kept the storm shields; big games mean that you’re opponents going to have more big guns. I’ve kept the squad to five men to keep the cost down since this squad is already pricey as is. The five rider approach is to make sure that you’ve got more than enough to attacks to plough through most squads. You get 20 attacks (provided you haven’t lost anyone) for throwing, 25 on the charge. Plus this gives you five S5 Hammer of Wrath hits. So that’s 30 attacks on the charge, pretty sweet huh? The power fists are there to help deal with things with a 2+ save, high toughness creatures and vehicles. The two swords are there to confirm kills on most models in the game by getting rid of their save, because most units in the game don’t have 2+ armour. The power maul has been chosen for that lovely “Concussive” rule, but it’s +2S is good for something that’s already S5. Landing a wound against a multi wounded model will leave at I1, leaving them striking at the same time as your power fists, assuming they last long enough. 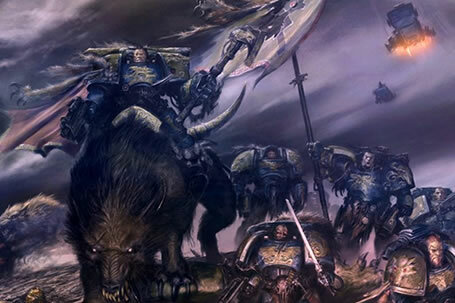 A unit of Thunderwolves can get expensive pretty quickly, but they’re a fast and ferocious assault unit that the Space Wolves army has needed for a long time. However, these units tend to scare most players into throwing all their big guns at them. As good as a Storm Shield is and as useful as that extra wound is, when enough saves are thrown your way you’re bound to fail a few. And this is where the discussion about whether it’s worth taking Storm Shields or more models comes in. Because people were running packs of Thunderwolves long before they could all take Storm Shields. With the latest Codex, Thunderwolves became a little bit cheaper and got a little bit better at the same time, thanks to the Rending special rule now being applicable to all of their close combat weapons, not just their basic attacks. If you’ve attached a number of Independent Characters riding Thunderwolves and accompanied by Fenrisian Wolves and Cyber Wolves to soak up all the shots that will be coming your way, then you may be more inclined to give your Thunderwolves Storm Shields and Power Fists. If you’re lacking the “ablative Wolves” to take the hits, you’ll probably want a pack of basically equipped Thunderwolves to take those hits instead. Especially if you’re thinking of running a whole Thunderwolf Themed Army. But don’t forget that Thunderwolf Cavalry are a fast moving assault unit that you need to get into close combat as quickly as possible. So identify your target and get them stuck in by Turn 2! Just try to make sure they don’t take too much of a beating before they get there. Finally, if you’re like me and use these guys often, get yourself the Champions of Fenris book. Taking this detachment boosts your Thunderwolves (and Wolf Guard) up to WS5. So the next time you’re in close combat with Space Marine equivalent infantry, you’ll be hitting them on 3+ rather than 4+. And that’s a substantial statistical boost!